Cats would keep their claws under a bill that would make New Jersey the first state to prohibit declawing. The measure, which cleared the lower chamber of the Legislature last month, bans onychectomies and flexor tendonectomies on a cat or any animal unless a veterinarian deems them medically necessary. Sponsors in the state Senate are reviewing possible changes, and it's not clear when it will move forward. The practice, often undertaken to prevent cats from shredding furniture or injuring humans or other pets, is already banned in several California cities and in nearly 20 countries. A similar bill died in New York last year. "Declawing is a barbaric practice that more often than not is done for the sake of convenience rather than necessity," the bill's sponsor, Democratic Assemblyman Troy Singleton, said in a statement. An onychectomy involves amputating the last bone of each toe. A flexor tendonectomy involves severing the tendon that controls the claw in each toe, so that the cat keeps its claws but cannot flex or extend them, Singleton said. Under the bill, vets who declaw cats other than to address a medical condition would face a fine of up to $1,000, a term of imprisonment of up to six months, or both. A violator would also be subject to a civil penalty of $500 to $2,000. The American Veterinary Medical Association, which represents more than 89,000 veterinarians, does not support having lawmakers tell doctors what to do and does not agree onychectomies are barbaric. However, the group said it's not medically necessary in most cases or even that frequent these days. "It's a surgical procedure that has complications that go with it," said AVMA animal welfare division director Dr. Cia Johnson. The group believes declawing should be considered only if the claws pose a risk to the owner and attempts to modify behavior have failed. Scratching is part of a normal feline behavior, and owners can positively reinforce it by providing them with posts, boxes and carpets. Cat owners should frequently trim their cats' nails, and veterinarians can also place nail caps on to minimize damage, Johnson said. The AVMA does not recommend tendonectomies. Cat owner Laura Goode, of North Bergen, thinks a ban on declawing would be amazing. "At the end of day, it's like removing the tips of their fingers. Cats use them as tools to stretch and to climb," she said. Goode, who volunteers at Only Hope Cat Rescue, said she has cared for cats that have been declawed. Usually, the nails were removed from the front paws, but she once cared for a cat that lost nails on all four. The cat was aggressive and had a difficult time using the litter box because its feet hurt, she said. Declawing is not as frequent as it once was, said Dr. James Nelson of Ewing Veterinary Hospital, who has been a vet for 35 years. When he has performed the procedure, it was usually because a cat was hurting another animal or tearing up furniture. He performed the operation on his own cat when the cat "scratched my own 1-year-old son down to the eye." 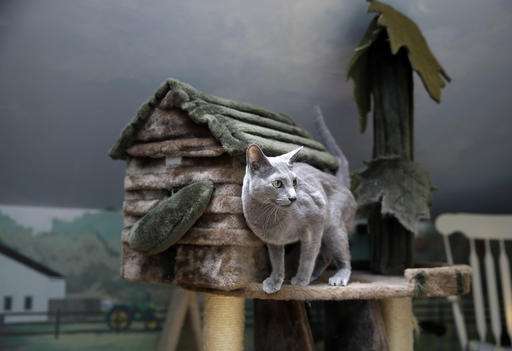 "Cats wake up from the pain medication, and they're not crying or acting crazy," Nelson said. "They're fine." 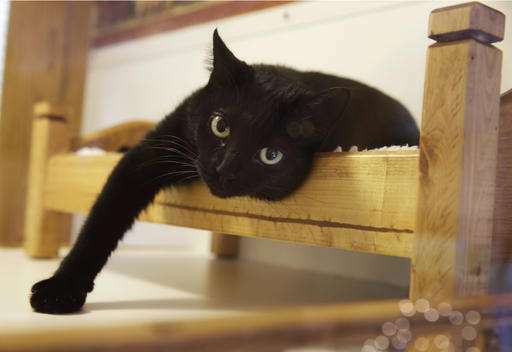 The AVMA worries a declawing ban could lead some cat owners to relinquish their pets to shelters, where the animal risks being euthanized if it's not adopted. "If the problem behavior can't be resolved," Johnson said, "we feel declawing is better than relinquishment."